Millennials don’t want to be targeted — or the extension of some business strategy, so instead think of it as courting — you want them to fall in love with your brand, so the connection must be deeper. 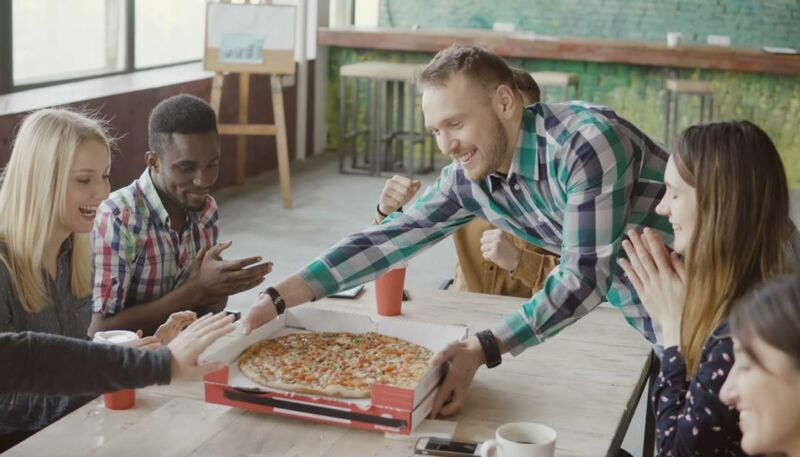 The millennial market is a frenetic, fickle demographic and this behavior certainly extends to their choices in restaurants. This is to say, getting them to check out your place might not be difficult, but it might be to get them to return. You might ask yourself, why focus on this small group of young folks? Well, millennials aren’t just a buzzword or punch line anymore, they’re a group of 80 million people that represent about 1/4 of the U.S. population. More to the point, they command 1.7 trillion in direct spending and will make up 75 percent of the workforce by 2025 - so this is in fact a market you want to be thinking about, and their fickle nature is worth spending some time trying to figure out. At the forefront of what they want is convenience, and this looks like many things. Often, it looks like their smartphones. Millennials are more than willing to use mobile payment, so a great way to get millennials business is through mobile rewards. While they don't want to carry extra cards in their wallet, they have no problem doing this via mobile devices. Mobile loyalty is huge, as 42 percent think brands should offer something like this - it’s easy to capture their attention, but you should make it easy for them to stick to your brand. The takeaway here: a discount or promo can nudge diners in the direction of where to eat - and mobile app development for restaurants is at the forefront of this search for a deal. Now, this is effective in getting them to your restaurant, but keeping them is a different conversation. Key: Use custom Olo mobile applications for iOS and Android to be flexible, don’t be afraid to change up online ordering tactics in a thoughtful way to keep their interests - so, be flexible and change often. Wingstop discounted a certain flavor, customers rallied to bring it back, and the company listened - they gave the consumers power, and they returned the favor with loyalty and excitement. • An active and engaged social media presence goes a long way. • Demonstrate sustainability/ transparency - if you make mistakes, own them and be forthcoming. This looks like many things, and begins with a friction-free technologiy services for restaurants experience, focusing on the user experience (UX) development. • Creative menu: this doesn’t necessarily mean crazy food choices, but rather, an interesting way of describing what you provide goes a long way - also, yes, provide unique new flavors, too. • Quality ingredients - millennials care about what they eat, and they’ll pay for it. • Customization is key - they want choice. The Chipotle model works - provide lots of options and stay abreast to food trends. Don’t underestimate or forget about social media - this not only means maintaining an active social media presence where you interact with customers, but also means making sure your food is “camera-ready.” We all know people are taking pictures of their food and sharing them, don’t miss an opportunity to make your food beautiful and shareable. All of this works together to tell a story, and millennials want a narrative they believe in. Have something to say, share your origin story, integrate it into your identity, tout that, and let your customers know. Whether you have existing millennial loyalty & reward integration programs or are interested in launching new ones, DineEngine® can help you integrate it into your restaurant’s digital experience. We pride ourselves on listening to customers when executing a restaurant owner’s vision. Tell us about your goals and we’ll help you make them a reality. Breck Hapner is DineEngine's® Marketing Director, content creator and strategist, social media specialist, designer, and photographer with experience in publishing, journalism, article and blog composition, digital asset creation and marketing campaign collateral.